So, you have a lib file and it’s corresponding header file, and you need to use it from your managed application. Now what? Well, the simplest answer is to create a C++/CLR wrapper DLL to expose the functionality you need. Here’s a step-by-step walk through of the process. 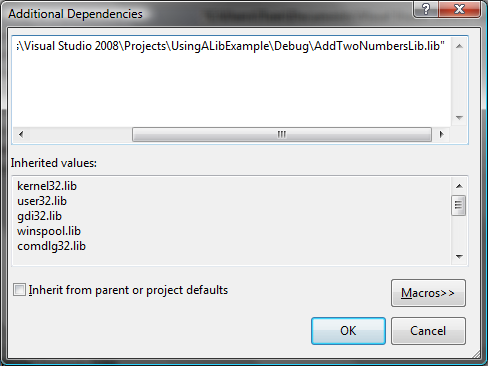 The first step in this walk-through is to create lib file that we want to expose in our managed code. To do this, create a blank Visual Studio Solution and give it a name. Once we have a solution, lets add a C++ static library project to the solution. To do this, go to Solution Explorer and right click on the solution. 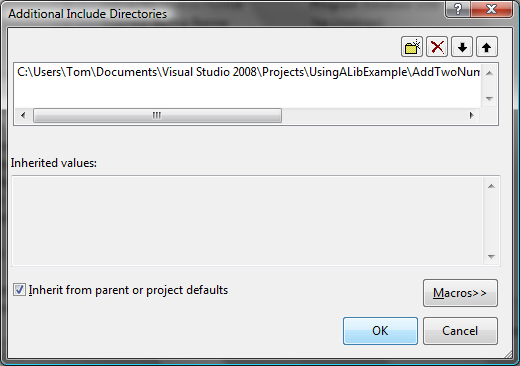 On the context menu, select “Add -> New Project”. This should bring up the “Add New Project” dialog. Add a new C++ Win32 project. Give it a name, and select OK. 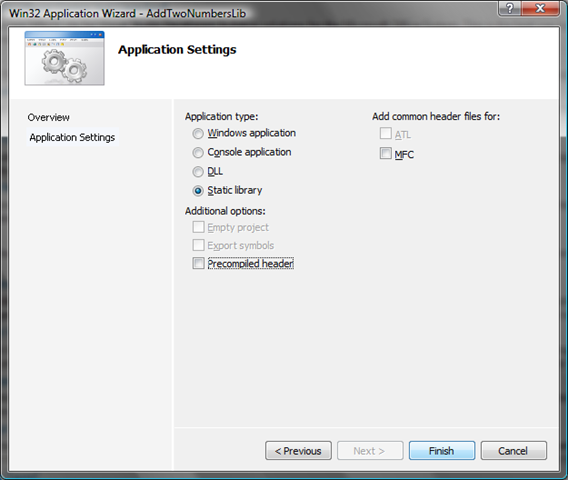 When the “Win32 Application Wizard” comes up, select the “Next” button. Under Application Type, select “Static Library”. Also, for this example I turned off “Precompiled header”. And select “Finish”. 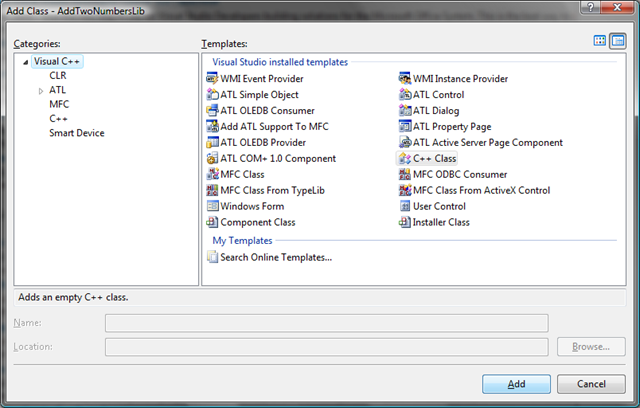 Go to the Solution Explorer again, and right click on your static library project, and select “Add -> Class…”. 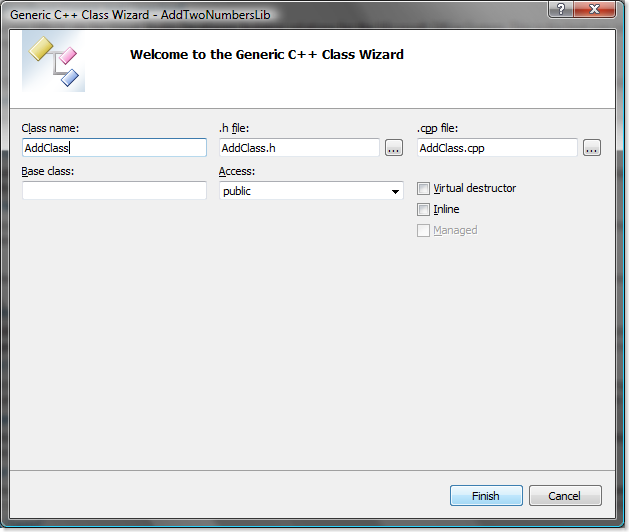 This will bring up the “Add Class” dialog, select “Add”. 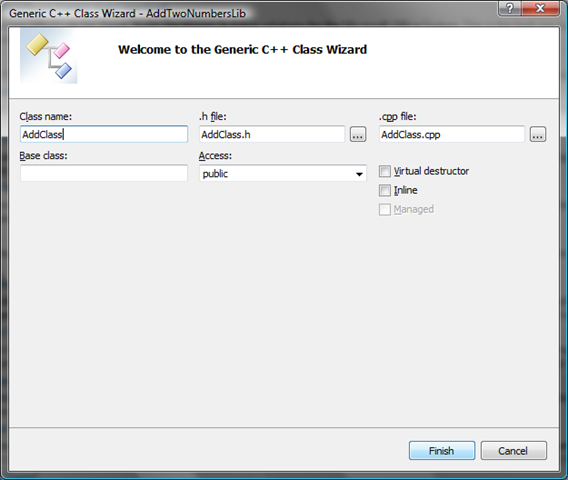 Fill in the information in the “Generic C++ Class Wizard”. Select “Finish”. At this point, you should be able to successfully compile our example lib file. OK – we are now setup for the rest of this example. We have a lib file and a header file that we will expose to our managed application. To do this, we will create a new CLR class library, using C++/CLI. So, go back to the Solution Explorer and right click on the solution. Select “Add -> New Project…”. 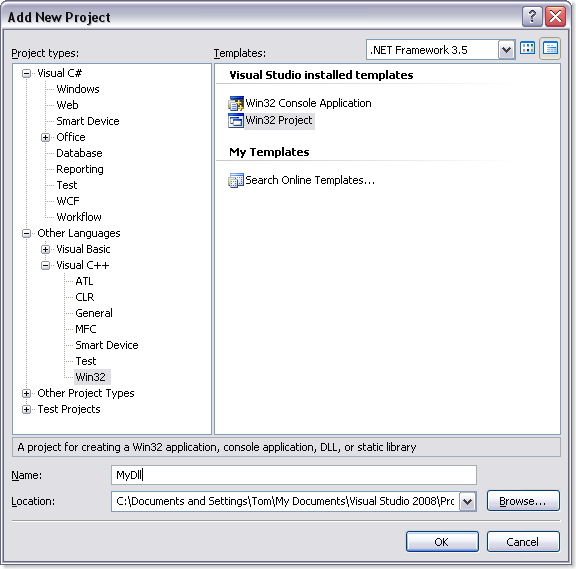 In the Project Types treeview, select “Visual C++ -> CLR”. In the Templates pane, select “Class Library”, and give it a name and select OK.
Now we need to set a couple of project properties to be able to use the lib file. 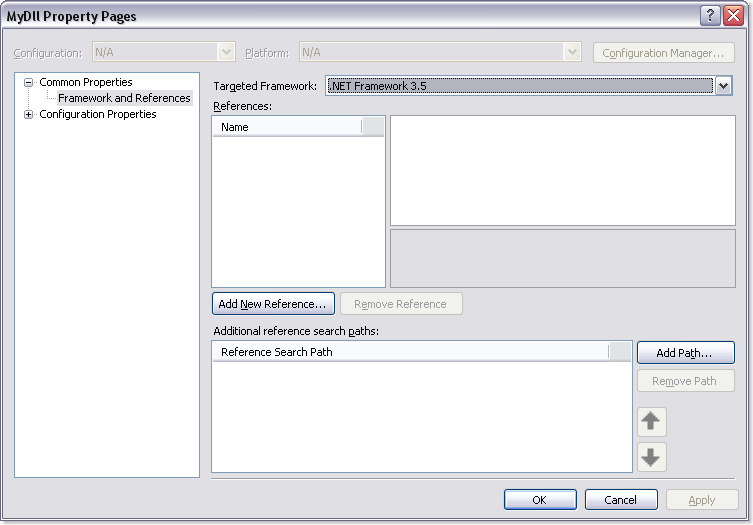 So, in Solution Explorer, right click on the ClrWrapper project and select Properties. 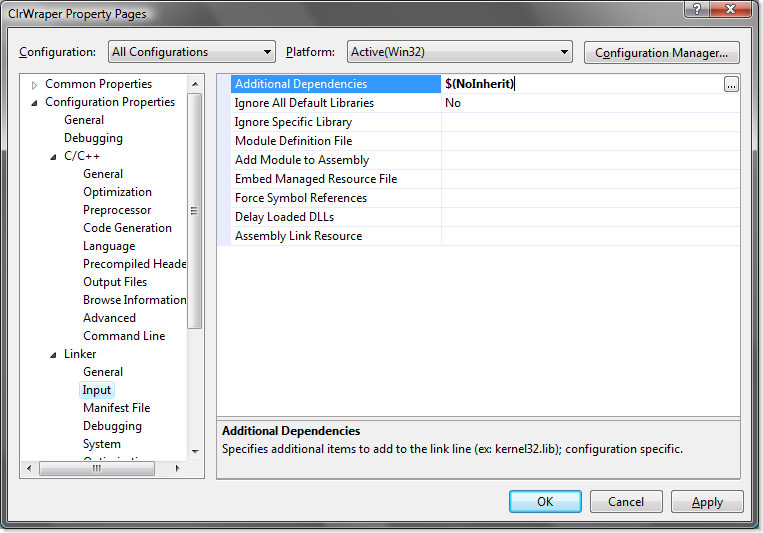 In the “ClrWrapper Property Pages”, select “All Configurations” in the Configuration drop down. 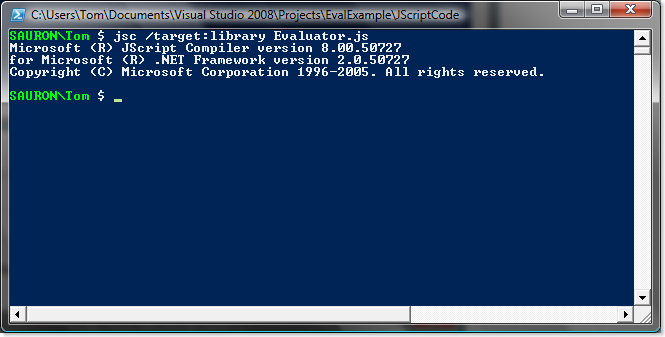 Then, select “Configuration Properties -> C/C++ -> General”. 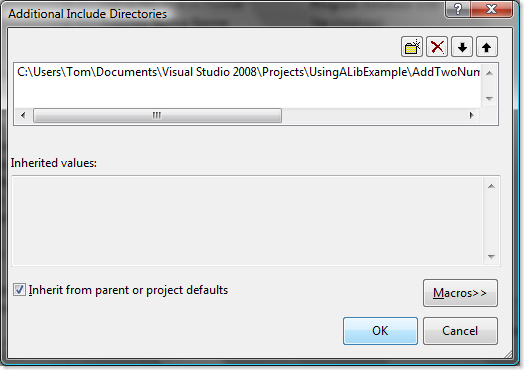 Modify the “Additional Include Directories” property, to point to the directory containing the header file for the .lib. Selecting the browse button will bring up the “Additional Include Directories” dialog. Clicking in the list at the top, will again give you a browse button that will bring up a folder browser dialog. Use the folder browser to point to the directory where your lib files header is in. 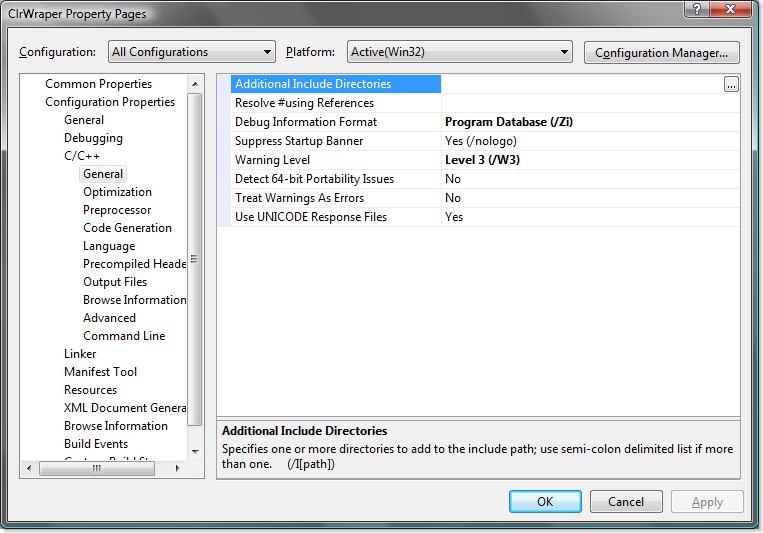 Select OK, then Apply in the “ClrWrapper Property Pages”. Now, we need to tell the linker where the lib file is. We could do this by adding a project reference to the AddTwoNumbersLib project – but, since we are trying to simulate us only having the lib, we’ll do it the hard way! 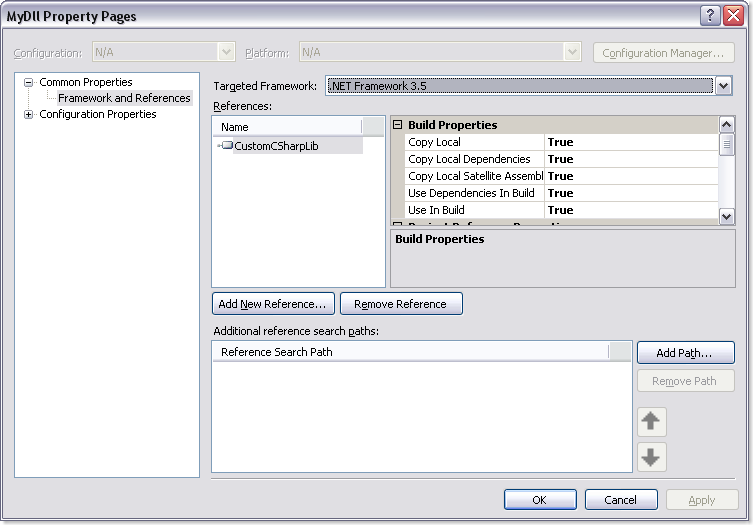 With the “ClrWrapper Property Pages” dialog still open, “Configuration Properties -> Linker -> Input”. 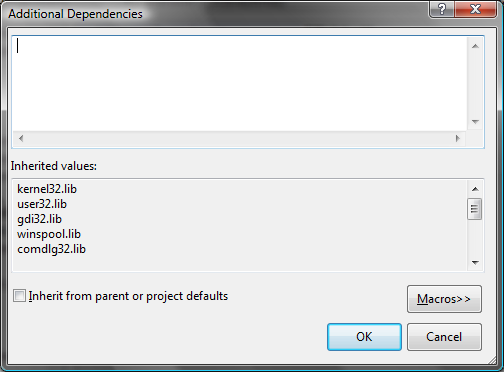 Select, “Additional Dependencies” and then the browse button that appears. 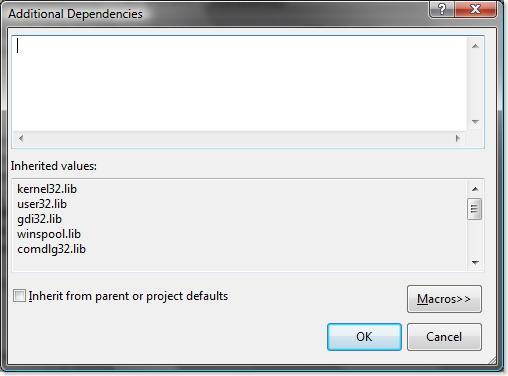 This will bring up the “Additional Dependencies” dialog. In the list at the top, insert the full path to the lib file (make sure it’s in quotes). Select OK. And OK again on the “ClrWrapper Property Pages”. 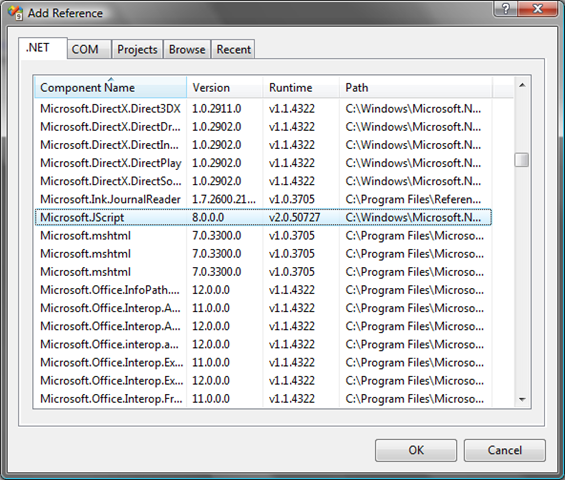 1: // This is the main DLL file. With that done, you should be able to compile the solution. Hopefully, someone will find this useful. Over the years, on the forums I frequent, the question has come up from time-to-time on how to dynamically evaluate expressions built at runtime. 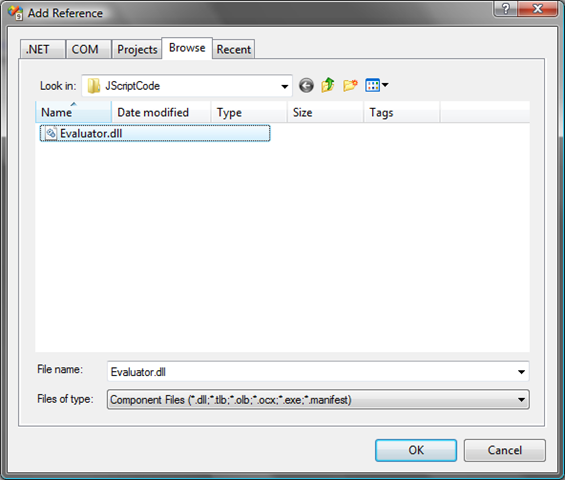 Often, the suggestions range from dynamic code compilation to creating expression evaluators. While these suggestions are not necessarily bad – they do have some drawbacks. The main problem with dynamic code compilation, is that it is slow. This may not be an issue if you are only going to do one or two calculations – but, if you need to perform your calculations hundreds or thousands of times, then the performance hit can become significant. For example, on the MSDN Visual C# forum, I was recently involved in a thread where the original poster was using dynamic compilation to evaluate expressions thousands of times and was looking for ways to speed up the process. I suggested he try the method I am about to present here, and his processing time dropped from the approximately 7 hours to 49 seconds. Not bad. The other method, creating an expression evaluator, suffers from complexity. It isn’t an easy task. Of course, there are enough examples and pre-built libraries to perform this task that no one should have to write such a beast anymore (except maybe as an exercise). But, why hunt down a third party library, when Microsoft has given us a built in expression evaluator? Well, sort of. 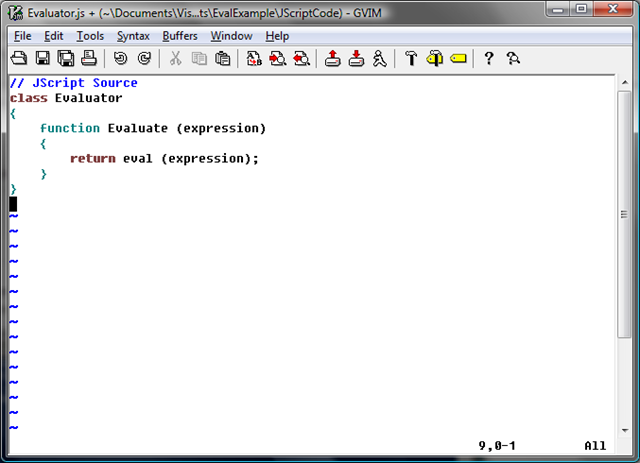 The expression evaluation mechanism that I am referring to is the JScript Eval method. It seems that many do not realize that JScript is an official .NET language. 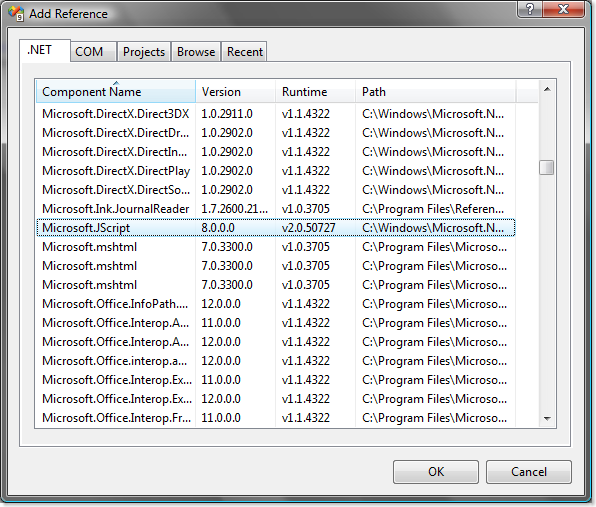 I suspect that is because the IDE has no built in support for JScript.NET. 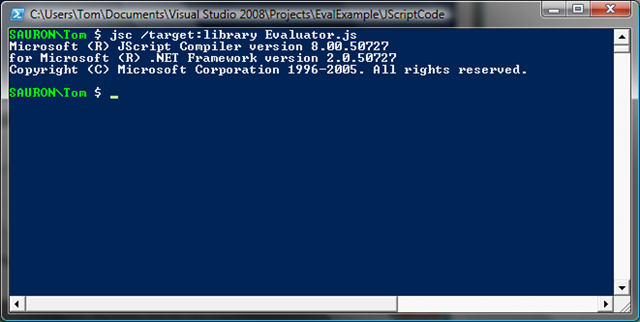 Here is a method for creating a simple wrapper library to expose the JScript Eval method to your C# or VB program. Since there is no IDE support for the JScript.NET language, create and save the Evaluator.js file in the external text editor of your choice. 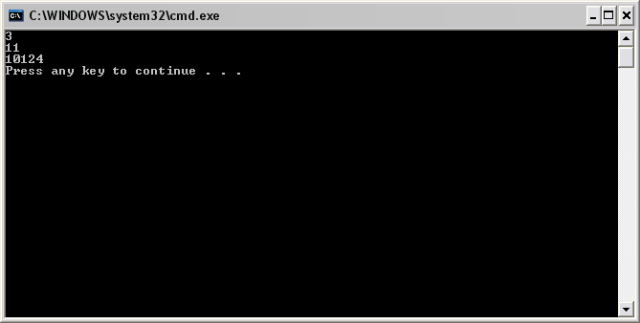 Ok, so I didn’t use the VS command prompt I used the Windows PowerShell console. I translated the bat file that the VS command prompt uses and put it in my $PROFILE. Let’s write some code to use the dll. This example, is pretty simplistic – for example, the Calculate methods do not do any sort of checking to make sure that the expression passed is a valid mathematical expression. I used the System.String.Format method to illustrate one way of getting values into an expression to be evaluated. It should be noted that this method will not only evaluate mathematical expressions, but arbitrary JScript code. As long as you are using a version of .NET >= 1.1, then this shouldn’t be much of an issue because unless you pass the string “unsafe” to the optional second parameter of the JScript Eval method, then the code will run in a limited security context. If you decide to ever use the Eval method with the “unsafe” option, then you will want to make sure that all of your strings are obtained from a trusted source. I got involved in a discussion the other day over on the MSDN Visual C# General forum, in which a poster had a situation where he needed to create a dll in C++ to extend a 3rd party application – but, he wanted to reuse some of his C# code from that dll. So, I am putting this post together to discuss the steps I took to get this working in Visual C++ 2008. The goal of this article is to provide a step-by-step walk through. If you follow all the steps (and I am communicating coherently) – then you should have a working code sample at the end of this article. Since in real life, I’m primarily a C# developer, the order I do things in might be a little different then say someone who is primarily a VB.NET developer or a C++ developer. Don’t let that throw you, if things are in a different order, just search around until you find the option. 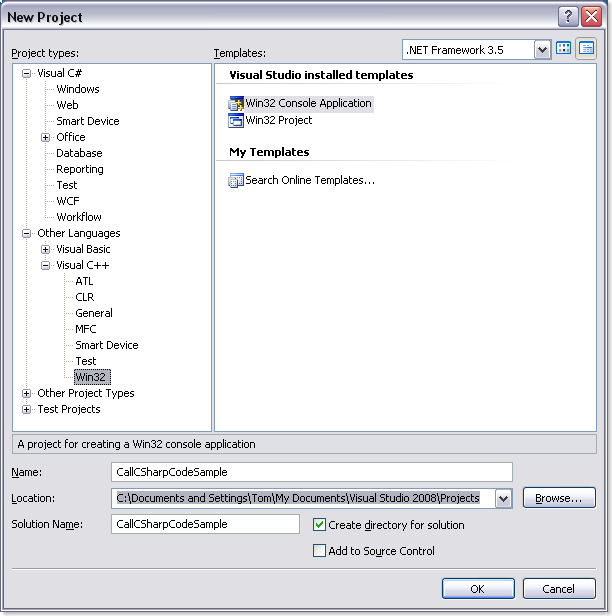 The first step is to create a new Visual C++ solution. Click on “File -> New -> Project…”. This brings up the “New Project” dialog. 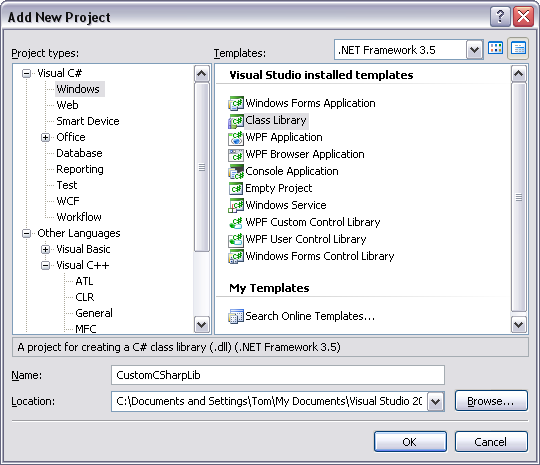 In the “Project Types” pane, select “Other Languages -> Visual C++ -> Win32”. 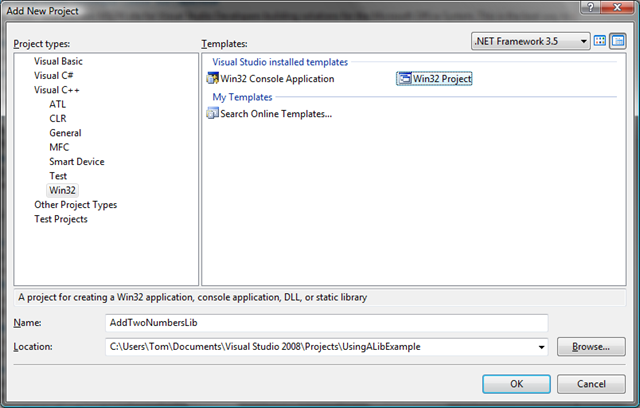 Then from the “Templates” pane on the right, select “Win32 Console Application”. 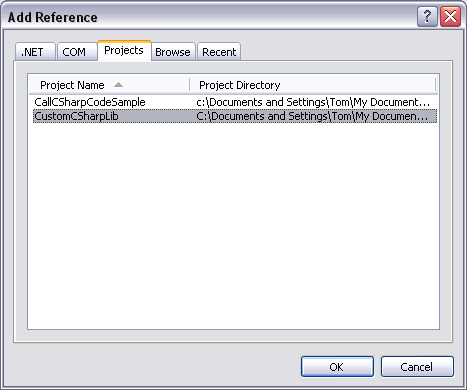 Give the project a name (I called mine CallCSharpCodeSample) and select the “OK” button. 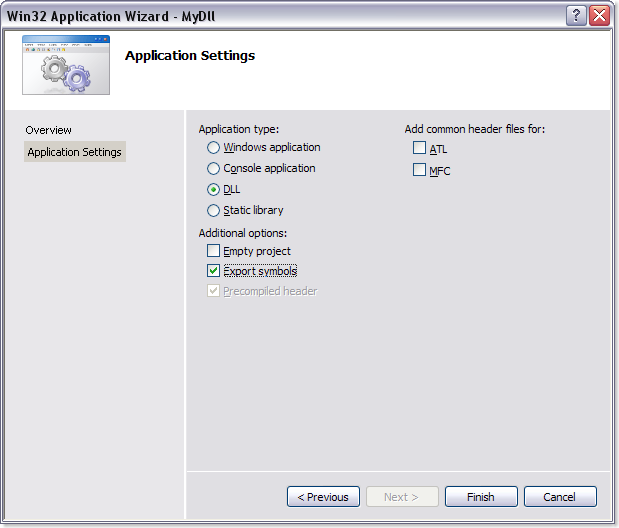 When the “Application Settings Wizard” dialog appears, select the “Finish” button. The Console project just created will become the host application to test out the dll. Add a C# Class Library project. 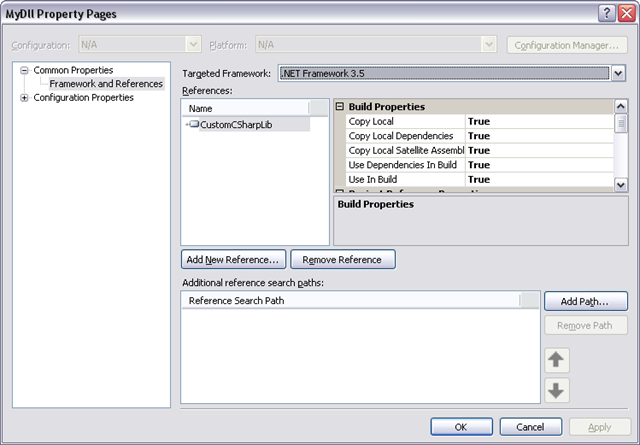 This library will represent the existing .NET assembly that needs to exposed via the C++ dll. 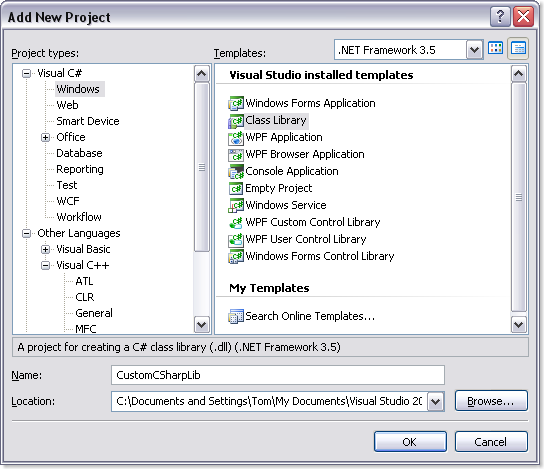 Go to Solution Explorer, and right click on the solution and select “Add -> New Project…”. 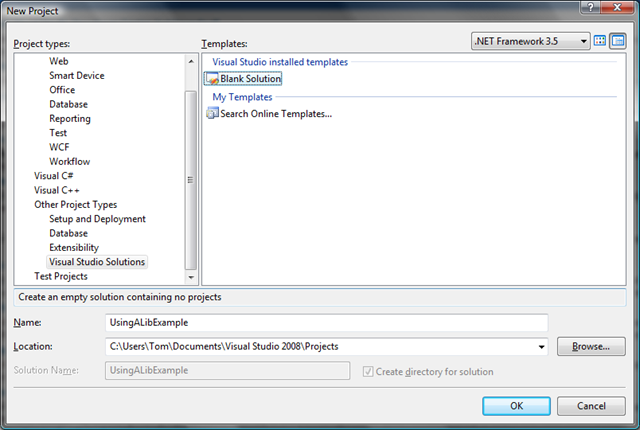 In the “Project types” pane of the “Add New Project” dialog, select “Visual C# -> Windows”. 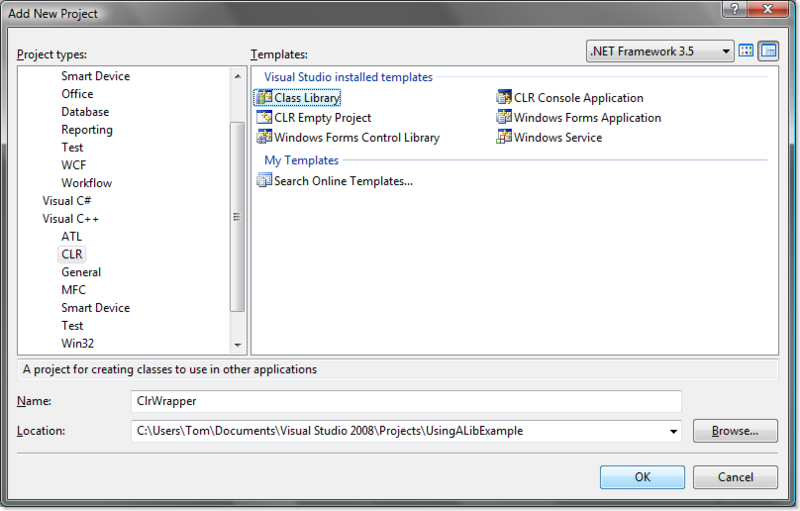 In the “Templates” pane select “Class Library”. Give the library a name, and then select the “OK” button. Setup is now complete and you’re ready to create the dll. 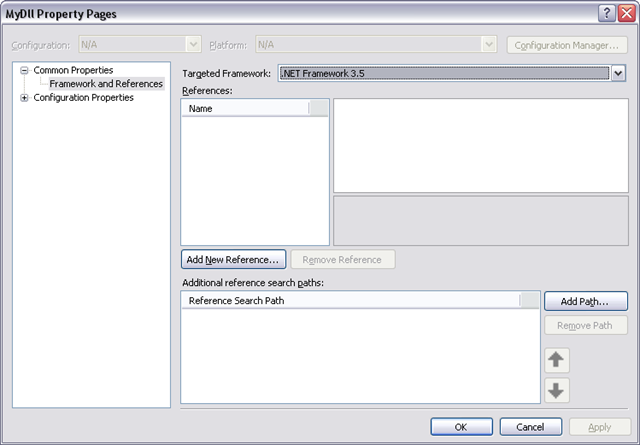 Right click on the solution in Solution Explorer, select “Add -> New Project…”. 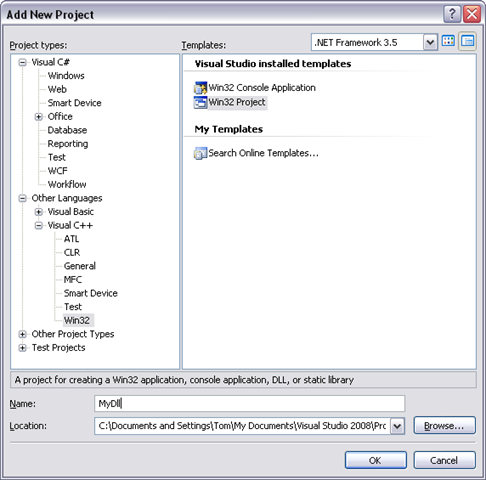 Add a new C++ Win32 project from the “Add New Project” dialog. And give it a name and select the “OK” button. You will again be presented with the “Application Settings Wizard”. Select the “Next” button and set the project options as shown below. Select the “Finish” button. 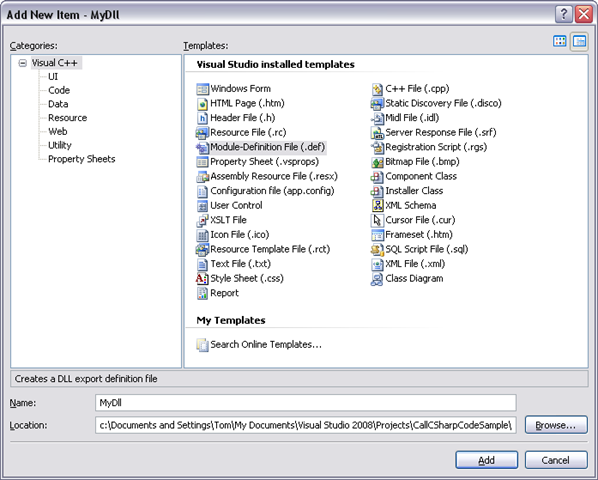 When the MyDll project is created, Visual Studio adds some unneeded code to “MyDll.h” and “MyDll.cpp”. Edit these files to look like the code below. 6: // defined with this macro as being exported. 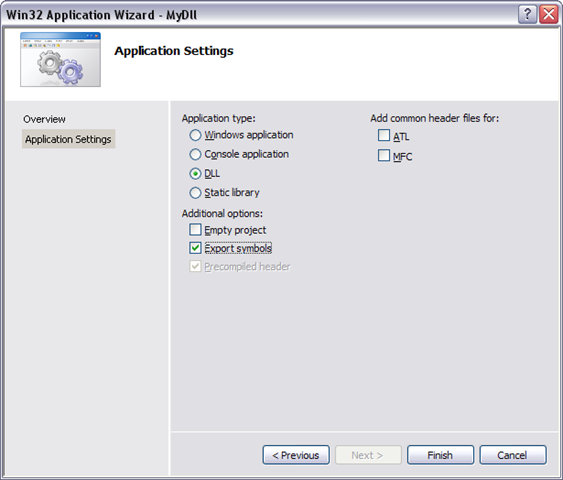 1: // MyDll.cpp : Defines the exported functions for the DLL application. At this point, everything should compile just fine. I have purposely not changed any project settings yet to enable managed code – but don’t worry, we’ll get to that! Let’s make sure we can actually use and call this dll from the test program first. 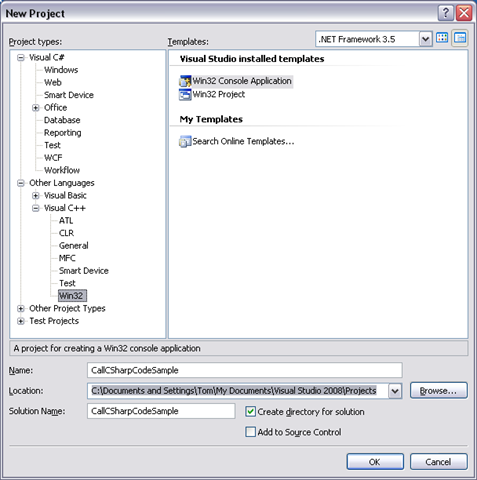 Change the default calling convention for the MyDll project to __stdcall. You do this by right clicking on the project in the Solution Explorer and selecting “Properties…”. 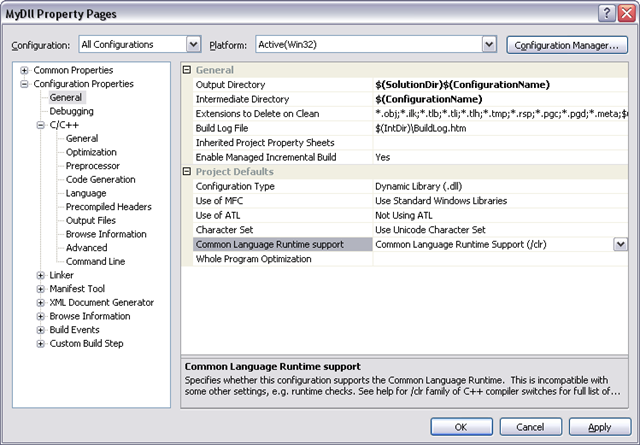 Change the “Configuration” option to “All Configurations” and then select “C/C++ -> Advanced”. 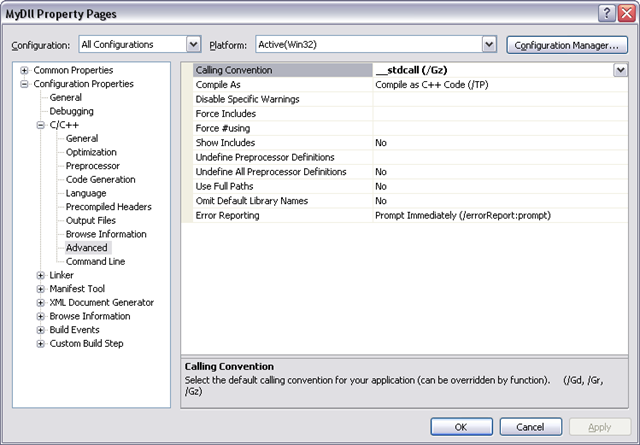 Change the “Calling Convention” entry in the property page to “__stdcall (/Gz)” and select OK.
I’m not sure this step is actually necessary, but __stdcall is the same calling convention used by the Windows API and will make your dll easily callable from languages such as Visual Basic 6 that can’t handle the default __cdecl calling convention. Add a module definition file to the MyDll project – this will allow us to override the default name mangling done by the compiler, and make the dll more easily callable. 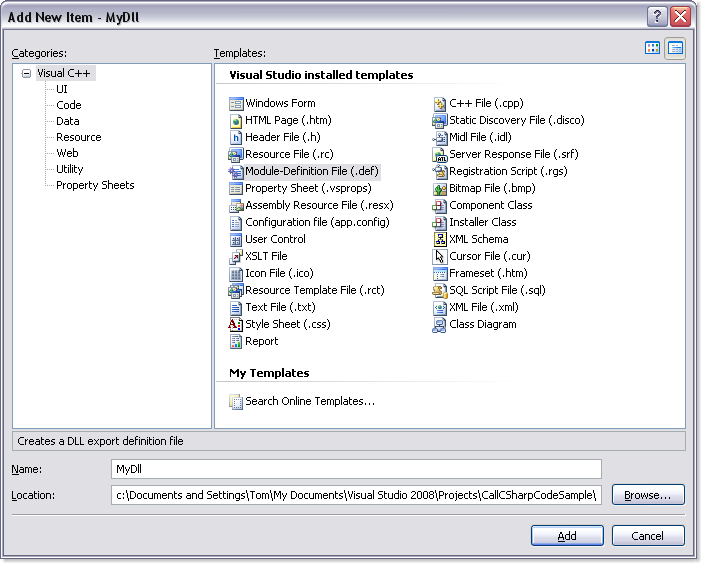 Right click on the MyDll project in the Solution Explorer and select “Add -> New Item…”. 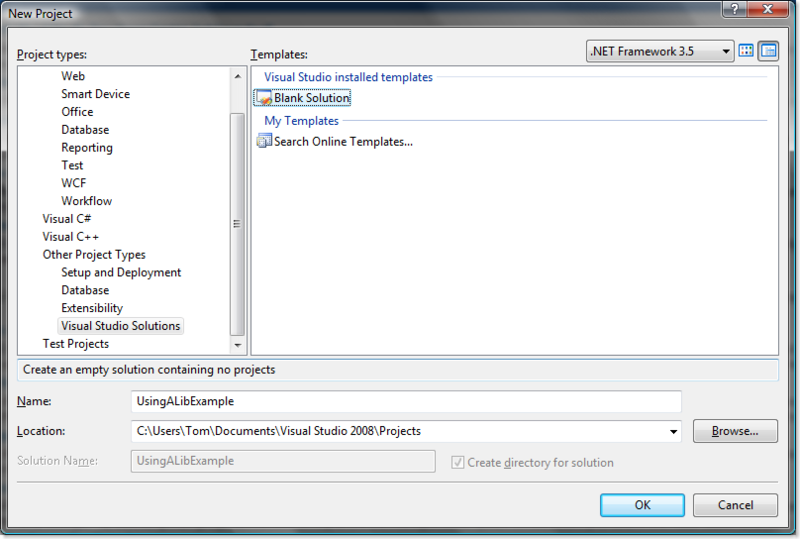 In the “Templates” pane of the “Add New Item” dialog, select “Module-Definition File (.def)”. Give it a name. Select the “Add” button. 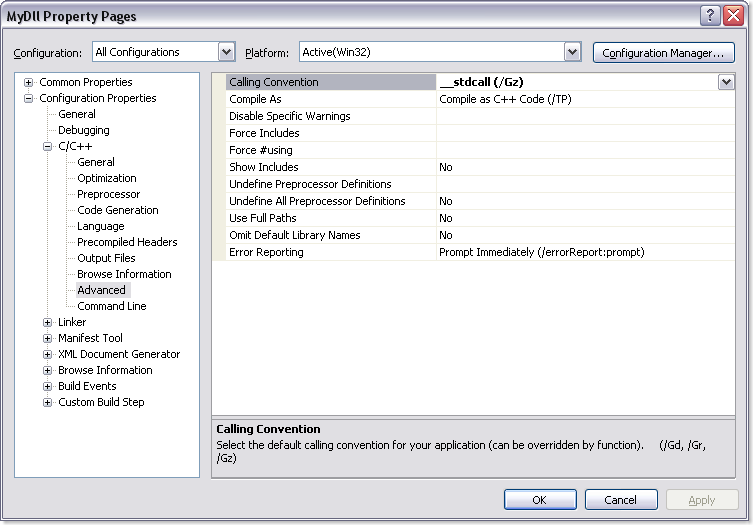 1: // CallCSharpCodeSample.cpp : Defines the entry point for the console application. Now that the dll and it’s test harness are in place, let’s return our attention to the MyDll project. At this step, we are going to enable CLR support. 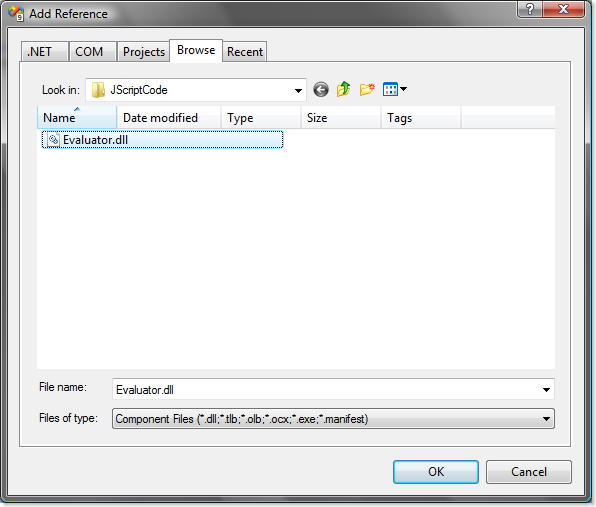 Right click on the MyDll project in Solution Explorer and select “Properties…”. 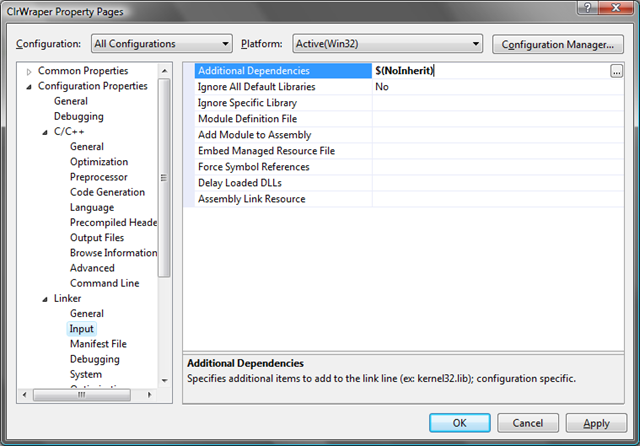 Set the “Configuration” option to “All Configurations”. 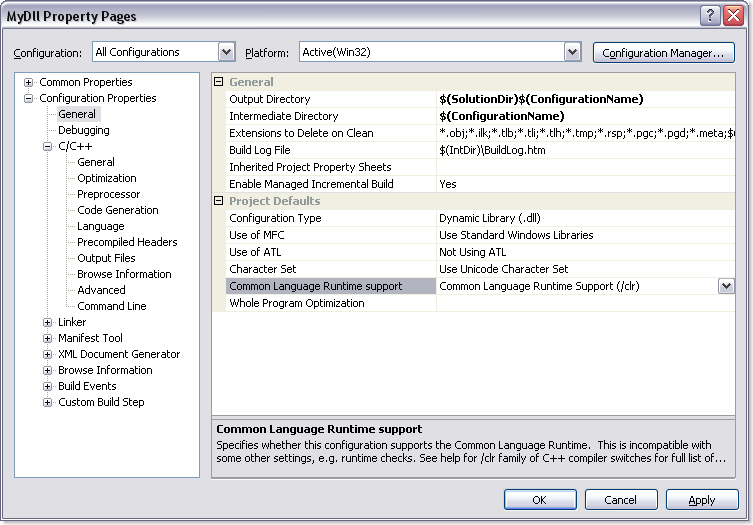 Select “Configuration Properties -> General” in the menu tree, and then change the “Common Language Runtime support” option in the properties pane to “Common Language Runtime Support (/clr)” and select the “OK” button. 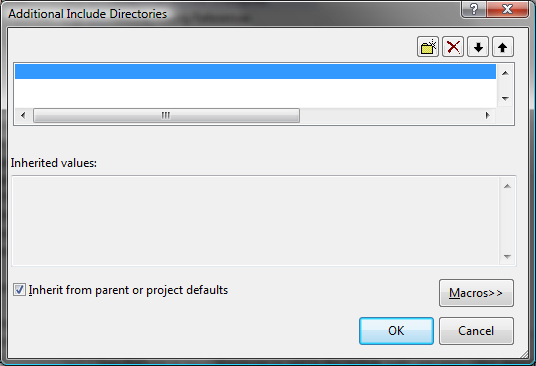 Right click on your MyDll project in the Solution Explorer and select “References…”. When the “Property Pages” dialog appears, select the “Add New Reference…” button. 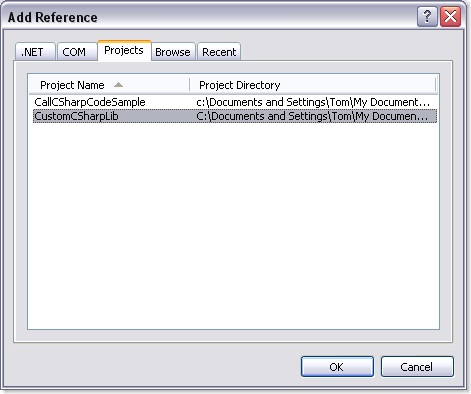 In the “Add Reference” dialog, select the “Projects” tab. 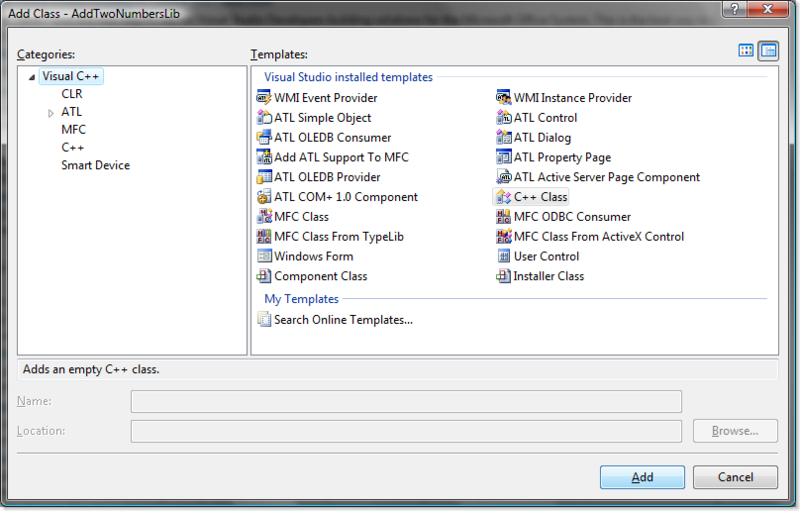 Select the CustomCSharpLib project from the list. Select OK. This will add the reference to the C# class library to your MyDll project. Select OK on the “Property Pages” dialog. One thing I did learn from this, is if you are going to include any .NET related header files (such as vcclr.h) – don’t do it in “stdafx.h”. 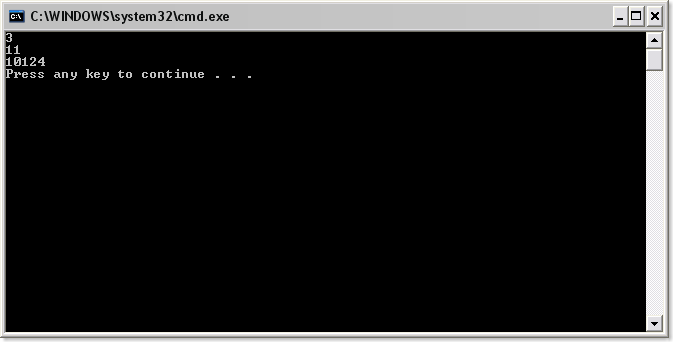 Otherwise, this file will be included in dllmain.cpp, and you will suddenly start getting an error about needing to add /clr switch to the command line. The reason is that DllMain can’t be a managed function – so the IDE helpfully turns off /clr for dllmain.cpp. There is a work around for this, you can turn on the /crl option for this file in it’s properties, but then you need to surround DllMain with some preprocessor directives to prevent it from being compiled as managed code. It seems easier to just include any of the .NET related headers in your MyDll.h and be done with it. Well, I hope this helps someone. If not, it was definitely a good learning experience for me.